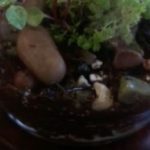 Will Tiny Worms In Terrarium Kill Plants? Our reader has begun an eternity terrarium (pictured), and after three days has started seeing white, threadlike worms in the soil. 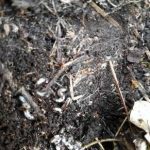 The soil looks like yard or garden soil, which widens the search, but we think the soil introduced nematodes or nematomorpha– young horsehair worms. 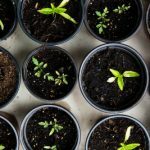 Alongside nematodes, garden soil plays host to a near-limitless number of invertebrates and micro-organisms including bacteria, fungi, protozoans and algal forms. Each can contribute fundamentally to the recycling of organic matter into topsoil with the vital nutrients that plants need to grow. It’s estimated that as many as a billion of these micro-organisms reside in a single gram of soil. Eggs and tiny larvae can hitch-hike in with these microorganisms, on unwashed rocks and shells, or any other backyard elements introduced to your terrarium. Nematodes aren’t always harmful. They are one of the most diverse groups of animals in the world, with more than 28,000 species identified. Some feed on plants, some feed on decaying matter, some are predatory, and some are parasitic. They are almost always present in a nutrient rich environment. 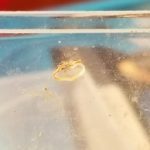 However, free living soil nematodes are usually very small, typically less than 1 mm in length, and will quickly wane when food sources dwindle. Scientists have spent years studying and identifying the life cycle of different types of nematodes. While there are nematodes that parasitize garden plants, many of them actually parasitize garden pests, and can be purchased from garden suppliers to fight slugs and snails. 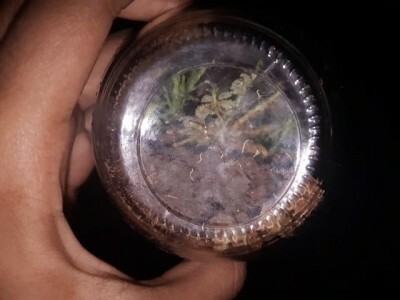 Without more information about the planting in our reader’s terrarium, it’s hard do say whether what our reader has might be harmful to her plants. These white worms may be fascinating to watch develop. Depending on what the purpose of the terrarium is, the reader might wish to see how the worms mature. Typical treatment to reduce or remove nematodes would be to plant nematode-free material, to discard infected plants, not use overhead watering and to space plants well so that any splashing during watering is minimized and plant surfaces dry quickly. With this type of growing environment, that may not be possible. 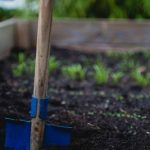 Avoiding overwatering will be important to prevent worms. 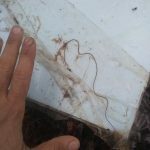 If it were one mature worm, we might infer that it was a displaced parasitic nematode or nematomorph that has left its host when it died, but these are more likely immature nematomorphs (so named because they look like nematodes: these include Gordian worms or horsehair worms.) As juveniles, nematomorphs are parasites of insects and other arthropods. 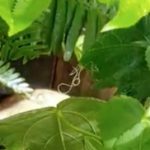 In the event that these might be roundworms, it would be advisable to avoid direct contact with the worms in the terrarium should she choose to take action. If she has concerns, she may wish to start her terrarium over with treated soil, disinfected stones, and treated plant roots. 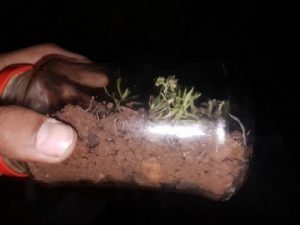 Our reader has begun an eternity terrarium (pictured,) and after three days has started seeing white, threadlike worms in the soil.